The Walking Dead Interview | Lauren Cohan (Maggie Greene). Have you been watching Season 4 of The Walking Dead? I certainly have. What about The Talking Dead? Have you set your DVR so you don’t miss anything? Click the link above and you can read a Q&A with Lauren Cohan. She brings her dog to the set and she tells an interesting story about him. The fans favorite moment was Daryl and Merle arguing (36%) in the “Home” episode followed by Daryl killing his brother (28%) in “This Sorrowful Life.” Michonne discovering Penny in “Made to Suffer” came in third with 20%. The Biggest Surprise/Shock category was the death of Andrea in “Welcome to the Tombs” with 41%; the Death of Lori (“Killer Within”) with 12%; and, Carl shooting Jody in “Welcome to the Tombs” with 8%. Who’s your favorite character? For 30% of TWDM Readers its Daryl; 25% like Rick; 15% like Andrea; 10% like Michonne. What about your favorite episode? Here’s how TWDM‘s poll results turned out: Clear – 46%; Killer Within – 24%; Welcome to the Tombs – 15%; This Sorrowful Life – 5%; Prey – 5% and Other – 5%. 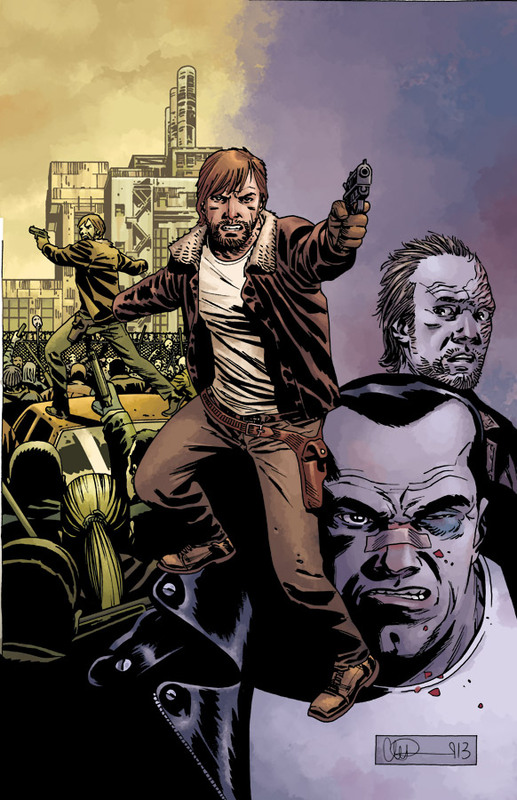 The Walking Dead comic book celebrated its tenth anniversary this month (October 2013). The new storyline is ‘All Out War’ (#115) and it will run through issue 120. Issue #115 was printed with ten interlocking covers, that when laid together form one giant issue. There’s also a special #115 cover commemorating the NYCC.